Thanks to the freedoms that come with trenchless pipe repairs and rehabilitation, we can now help restore your residential and commercial sewer lines to get your property back to working order. In the past, your property would be subject to unnecessary damage in order for pipe professionals to access to your pipes. While excavation is still needed today, trenchless methods of pipe repair offer viable solutions to repair and replace your pipes. Your property should never have to suffer through pesky pipe problems, when our team can properly replace your sewer and drain pipes with ease. Pipe rehabilitation involves our team improving the quality of your sewer pipes, so your home or business can function at its best potential. Our team restores your pipes with a thorough inspection, cleaning, and a form of trenchless repair. Inspection is a process that allows our team of accurately assess the state of each pipe while discovering imperfections within your system like cracks, clogs, blockages, breaks, collapses, and more. With all of the vital details revealed during the inspection, we can provide your pipes with cleaning or repair. No matter what service we provide you with, your pipes will be ready for immediate use and your problems will be solved right away. There are many benefits to choosing pipe rehabilitation over traditional pipe replacement. First, the trenchless pipe repair and replacement process is time efficient. In the past, methods of pipe rehabilitation took long periods of time that were not practical for customers. Now, the process of repairing is conducted within the day and allows your pipes to be ready for immediate use when our work is complete. With rehabilitation from SLB Pipe Solutions, you also have the benefit of not having to redo your landscaping when the project is over. Thanks to advances in trenchless pipe rehabilitation, we only need one or two simple access point to get the job done. 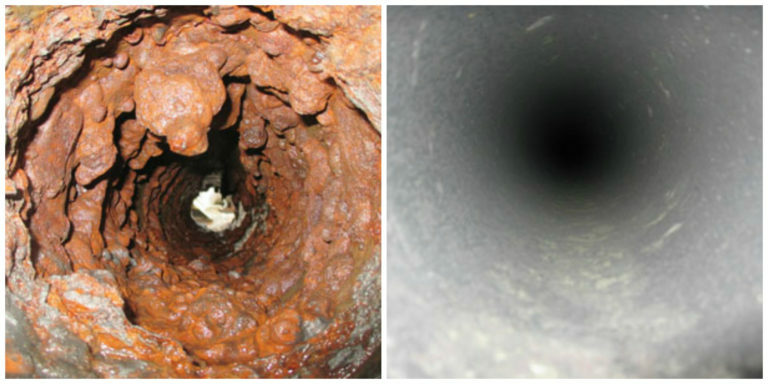 We can restore your pipes from within with either pipe lining or pipe bursting technology. All of the methods we use are structurally sound and require no major digging as well as environmentally-friendly and long-lasting. Our team is comprised of industry experts who can provide you with results you can count on. Your sewer pipes are our number one priority and will be repaired in far less time and with far less hassle than you ever expected. Our team services residents of Indianapolis and the surrounding areas. The results will exceed standards, and your home or business will be back to functioning like it should in less time than ever before. Reach out to us today to speak to one of our informative associates who can schedule an appointment with one of our technicians. No matter what rehabilitation methods your pipes need, we will always come to your property prepared with the right tools and expertise to help right away.